Save Our Chetco River: Wild and Scenic Chetco River | Protected from mining for 5 years! 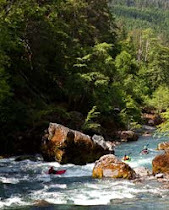 Action by the Department of Interior will protect the National Wild and Scenic Chetco River from mining for 5 years, while Senator Wyden, Senator Merkley and Rep. DeFazio work to pass legislation to make the protection permanent. The 5-year administrative withdrawal comes as welcome news to the thousands of people who wrote letters, showed up at public meetings, and signed petitions in support of the protecting the Chetco. The withdrawal means that this world-class salmon and steelhead stream is now temporarily protected from threats of suction dredge gold mining --including recent proposals to mine almost half the river's length. The mineral withdrawal for the Wild and Scenic Chetco River outside the Kalmiopsis Wilderness was recommended by the Rogue River-Siskiyou National Forest in order to preserve the status quo, with regard to mining, while Congress considers permanent protection for the river. Earlier this year, Senators Ron Wyden (D-OR) and Jeff Merkley (D-OR) introduced the Oregon Treasures Act in the Senate and Congressman Peter DeFazio (D-OR) has re-introduced companion legislation —the Chetco River Protection Act —in the House of Representatives. Cosponsors in the House are Representatives Earl Blumenauer (D-OR), Suzanne Bonamici (D-OR) and Jared Huffman (D-CA). Congress now has 5 years to make the withdrawal permanent. The proposed legislation for the Chetco River is based on the Rogue River-Siskiyou National Forest's recommendations to provide a higher level of protection for the Chetco’s exceptionally clear waters, wild salmon, steelhead and cutthroat trout habitat and the outstanding recreational opportunities that these nationally outstanding values provide. Owing to these extraordinary values, the Wild and Scenic Chetco River and its fishery is a major economic engine for the South Coast. The 5-year mineral withdrawal is a vital bridge to permanent protection for the Chetco. 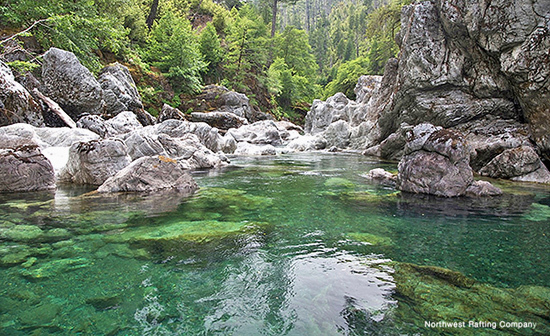 Already, a preliminary two-year segregation withdrawal for the Wild and Scenic Chetco outside the Kalmiopsis Wilderness has proven particularly effective in addressing mining threats and in saving taxpayer money. The 2-year segregation withdrawal was in place a little more than a month, when Chetco River Mining and Exploration—the owners of 9 long mining claims following the river from Chetco Bar to Nook Bar— forfeited all of their claims, including the three inside the Kalmiopsis Wilderness. In 2008, CRME had submitted a proposal to mine the claims. The company later divided the proposal into 8 separate mining plans of operation where dredges weighing up to one ton would be used to mine the river bed of this otherwise protected National Wild and Scenic River. In 2010, American Rivers named the Chetco the 7th Most Endangered River in America because of the proposed mining. Because the Chetco was officially withdrawn through segregation when the claims were forfeited, CRME could not simply turn around and locate new mining claims. In withdrawn areas, mining can occur on "valid" existing claims, and so without valid claims, the 8 mining plans of operation could not move forward and were put on hold. Likewise, three mining claims in the Kalmiopsis Wilderness were extinguished forever because Congress had already permanently withdrawn the Wilderness from mining. These were the last three federal mining claims in the Kalmiopsis Wilderness. The Chetco withdrawal provides a positive example of members of Congress and the Obama Administration working together and responding to desires of local citizens and conservation organizations to make sure the values of this national Wild and Scenic River are protected. Please click this link to send a thank you to Secretary of the Interior Sally Jewell.